For folk art aficionados in Canada (and further afield), Maud Lewis is a household name. Yet most people are not aware that this renowned artist’s roots are in Yarmouth, Nova Scotia. The Friends of the Art Gallery of Nova Scotia (AGNS) Western Branch Society intend to change that. 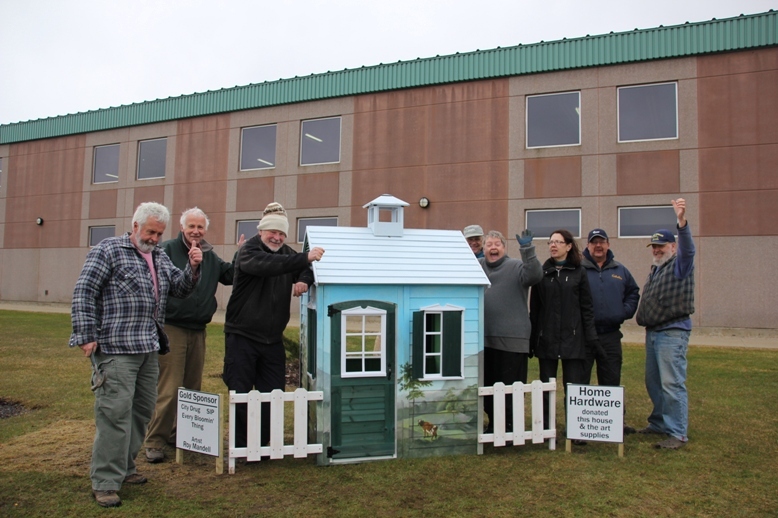 They’ve just launched the “Maudified” house project, which consists of placing 11 miniature painted houses-inspired by Maud Lewis-at various sites in Yarmouth. “The purpose of the project,” says Wendy Majestic, VP of the Society and project co-ordinator, “is to draw attention to Maud’s amazing story, and to let the world know that her story starts here. 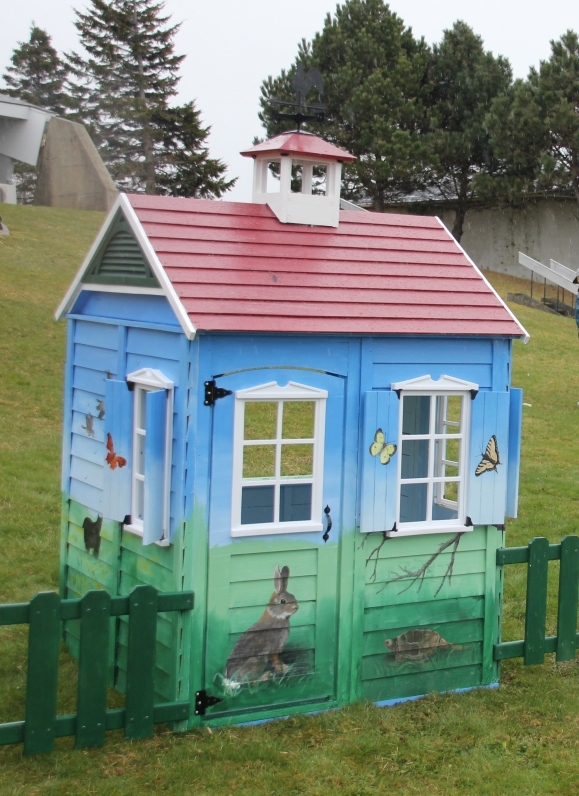 We also want to celebrate the artistic talent in the region, beautify the town and to raise funds for children’s programming at the art gallery-so it’s a many-sided affair. The diminutive Maud met and married a fish pedlar, Everett Lewis, in 1938. 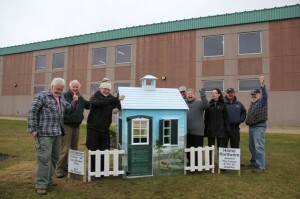 They lived in a small 13 ft. 6 in x 12 ft. 6 in. house in Marshalltown, Digby County. With no plumbing or electricity, and despite the hardships and challenges she faced-including debilitating rheumatoid arthritis-Maud found joy through painting. Her art spilled over onto everything from dustpans and scallop shells, to the walls and windows of her home. 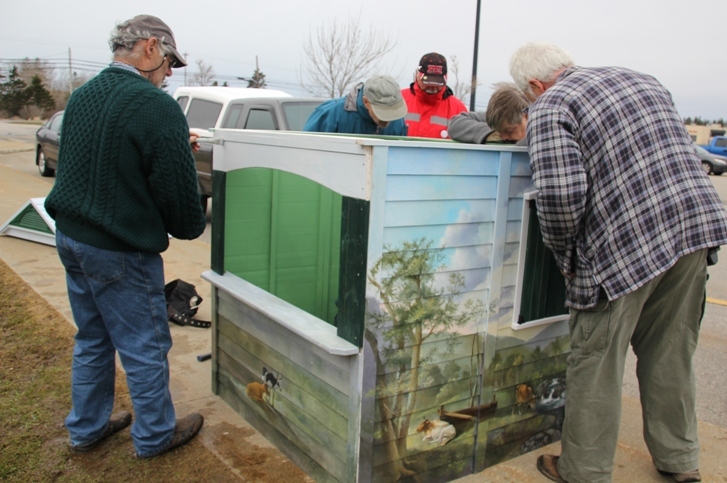 In Yarmouth, many activities are planned during the summer and fall focused on Maud Lewis. 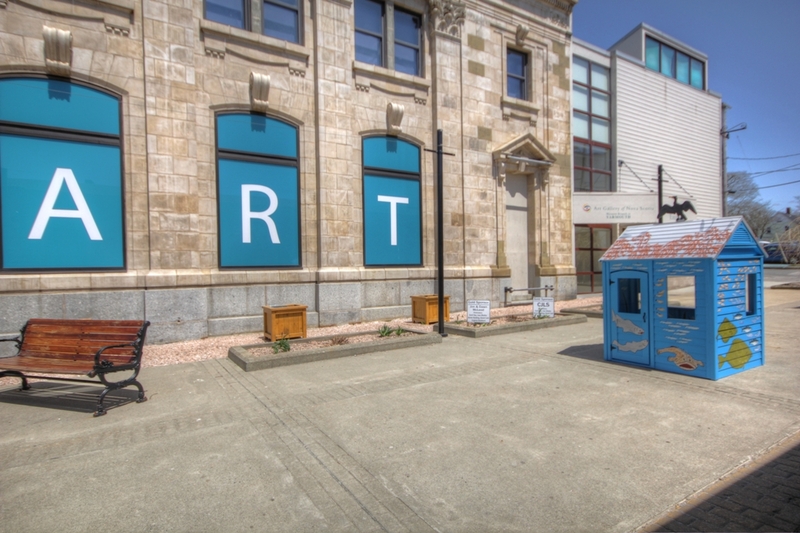 Currently a Maud Lewis Homecoming exhibit is at the AGNS Yarmouth location, including three documentaries about the late folk artist that can be viewed during opening hours. 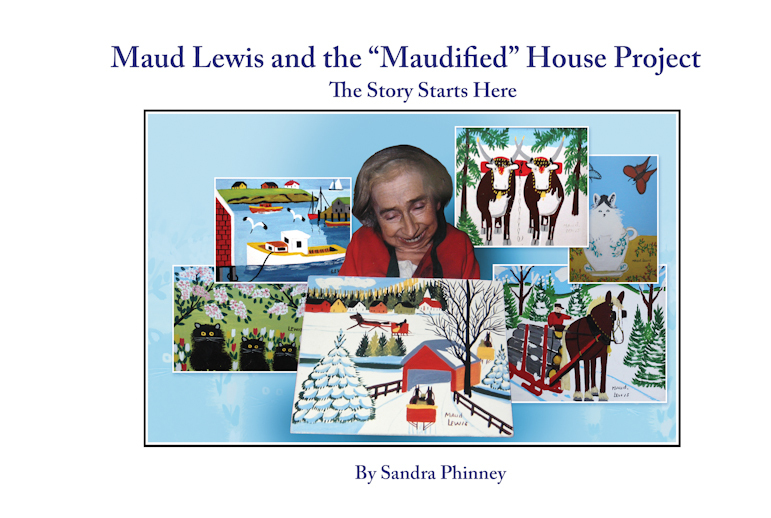 A self guided tour of pinpointing the locations of the “Maudified” houses is also available, and local author Sandra Phinney has published Maud Lewis and the Maudified House Project: The Story Starts Here, which will be launched at the AGNS (Yarmouth) on June 18. 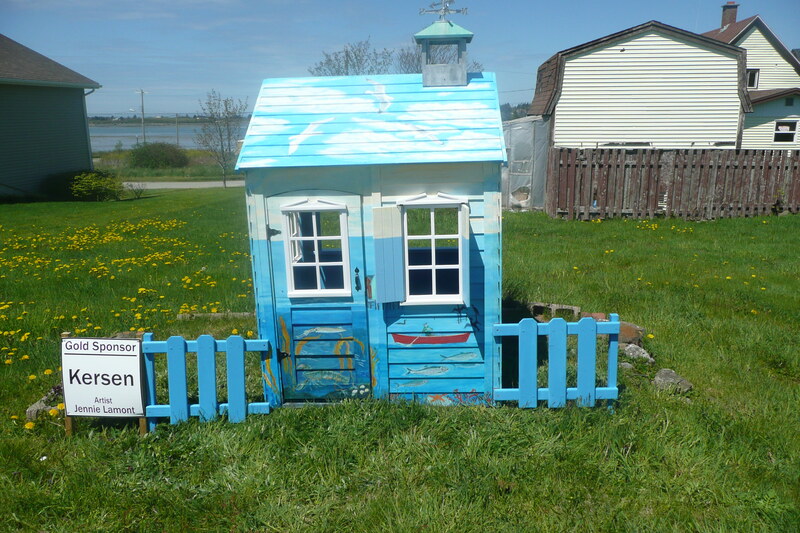 Story circles are also planned, as well as a Maud Lewis Festival this fall. 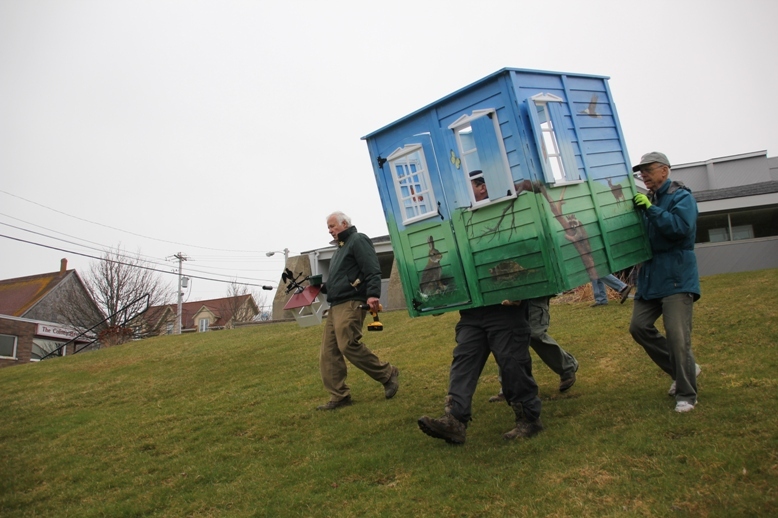 The Maudified House on Water/Commercial Street has been moved to a more public exposed site on Main Street. It is now in its own little yard next to Emin’s and across from the skateboard park. Many more people will now see this house both walking and driving. Thanks to all who helped with the move. 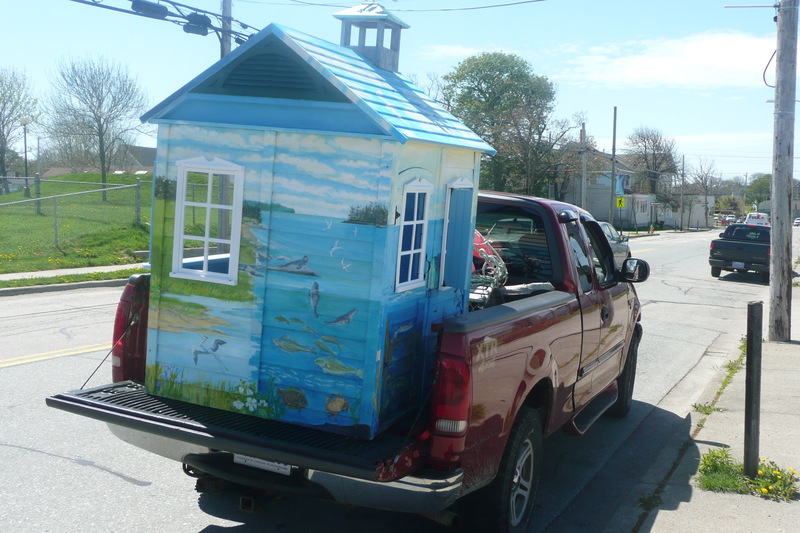 Comments Off on May 15, 2014 – “Maudified” house launch!